"Can't Stop the Feeling!" is a song recorded by American singer and songwriter Justin Timberlake for the soundtrack to the film Trolls, for which he serves as the executive music producer. It was written and produced by Timberlake, Max Martin and Shellback. Musically, it is an uptempo disco-pop, soul-pop number with funk influences. The song was released as a single on May 6, 2016, and serviced to contemporary hit radio on May 10, 2016. Timberlake gave his first televised performance of "Can't Stop the Feeling!" during the interval act of the Eurovision Song Contest 2016 grand final. 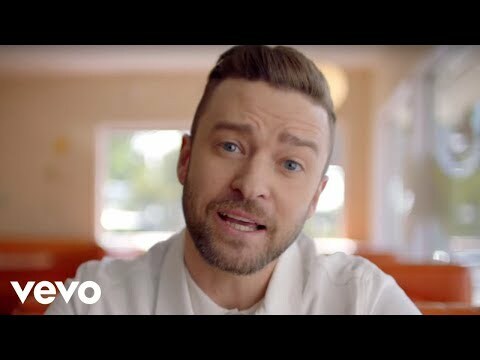 Directed by Mark Romanek, its music video was released on May 16, 2016, and follows Timberlake on a tour to everyday places as he dances through what a typical day might be—it was followed by a number of fan-made videos. The single debuted atop the US Billboard Hot 100, opening with 379,000 downloads in its first week, marking Timberlake's fifth No. 1 single in the country, and making it the 26th song on the Hot 100 history to start at the summit of the chart. Additionally, it became the second song to spend its first 10 weeks atop the Digital Songs chart, joining The Black Eyed Peas' "Boom Boom Pow" (2009). The single marked his fifth No. 1 single on the Radio Songs chart and eighth on the Mainstream Top 40. Internationally, it topped the charts in Argentina, Brazil, Belgium, Canada, the Czech Republic, France, Germany, Israel, Mexico, Russia, Scotland, Slovakia, Slovenia, South Africa, Sweden and Switzerland, and the top-five in most of Europe. "Can't Stop the Feeling!" was the best-selling song of 2016 in the US with 2.4 million copies sold. For Apple Music it was the second most streamed and downloaded song of the year. The Official Charts Company from the UK named it Timberlake's biggest song in the country, for over 1 million units sold. It is nominated for Golden Globe Award for Best Original Song and Grammy Award for Best Song Written for Visual Media.